Clark made his wrestling debut in 1989 under the ring name "The Nightstalker", competing in the Minnesota-based American Wrestling Association. When the AWA folded in 1991, Clark began competing for World Championship Wrestling. He replaced an injured Diamond Studd at Starrcade to team with Rick Steiner in a losing effort to Vader and Mr. Hughes. Clark joined Smoky Mountain Wrestling and defeated Tracy Smothers to become the promotion's second-ever "Beat The Champ" Television Champion on February 2, 1993. He lost the title to Tim Horner six days later. He also briefly wrestled in Herb Abrams' Universal Wrestling Federation. 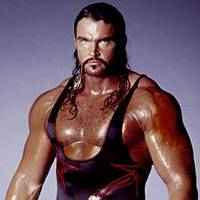 In May 1993, Clark debuted in the World Wrestling Federation as Adam Bomb, the newest client of Johnny Polo. 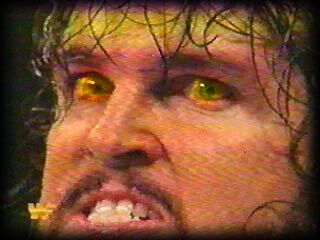 Wearing luminous green contact lenses, Bomb's gimmick was that of a survivor of the infamous Three Mile Island nuclear meltdown accident, which was further emphasized by his ring name being a pun on the "atom bomb". Seven months after his debut, Harvey Wippleman replaced Polo as Bomb's manager because Polo wanted to focus on managing WWF Tag Team Champions the Quebecers. 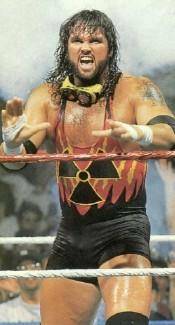 Bomb made his pay-per-view debut at Survivor Series, where he teamed up with Irwin R. Schyster, Diesel and "The Model" Rick Martel against Razor Ramon, The 1-2-3 Kid, Marty Jannetty and "The Macho Man" Randy Savage in an elimination match. His team went on to lose the match, though he was the last remaining wrestler for his team before being pinned by Jannetty after a roll-up. Following this, he participated in the 1994 Royal Rumble, where he was the final entrant in the match. However, he lasted less than five minutes before being eliminated by Lex Luger. Following the Rumble and a feud with Earthquake, Bomb turned face after his manager Harvey Wippleman turned on him and helped new client Kwang attack him. 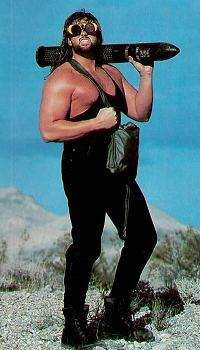 As a face, he would throw rubber nuclear missiles into the audience as he walked to the ring and after he won a match. After briefly feuding with Kwang and Bam Bam Bigelow, Bomb was moved down the card and began competing exclusively on WWF Superstars before leaving the promotion in August 1995. 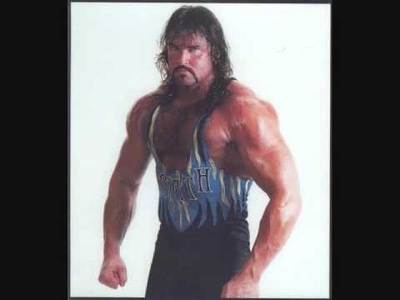 In 1997, Clark rejoined WCW as Wrath, a helmeted martial artist who, along with Mortis, battled Glacier and Ernest Miller. The four characters, collectively known as "Blood Runs Cold", was WCW's attempt to tap into the popularity of the Mortal Kombat video games. The angle continued until 1998 when Clark suffered an injury. After recovery, he returned to singles action later in the year as a face, debuting both a new attire and finishing move called the Meltdown while all Blood Runs Cold references were phased out. After a lengthy undefeated streak, Clark tore his ACL in a match against Jerry Flynn on April 15, 1999 and spent a year recuperating. Clark returned to the ring in April 2000, now using his real name. 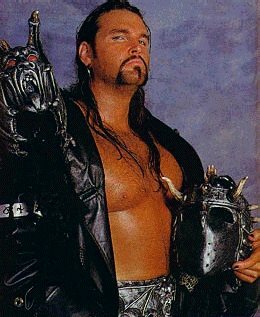 He formed a tag team with Brian Adams known as KroniK, and both became members of the New Blood. However, KroniK switched allegiances to the Millionaires Club after Vince Russo betrayed them and, on May 15, 2000, they defeated Shane Douglas and The Wall to win the vacant World Tag Team Championship. They later lost the title on May 30 to New Blood members Shawn Stasiak and Chuck Palumbo. KroniK was granted a rematch for the title at Bash at the Beach on July 9, and was successful in reclaiming World Tag Team Championship. KroniK then entered a feud with the entire Natural Born Thrillers stable, but retained the title against the Thrillers before losing it to Vampiro and The Great Muta at New Blood Rising on August 13. Following the title loss, KroniK turned heel after Vince Russo managed to bribe them in order to have them attack Bill Goldberg, who would be fired if he lost a single match. However, Goldberg managed to overcome the odds and pinned both Clark and Adams in a handicap match at Halloween Havoc. 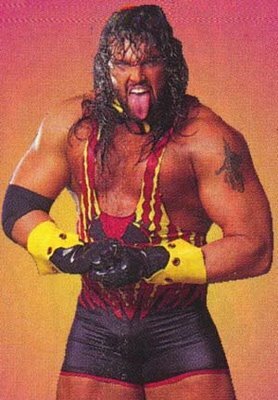 KroniK continued working as "hired muscle" by helping The Boogie Knights battle the Filthy Animals, and eventually helped their former enemies the Natural Born Thrillers before turning face once again in January 2001 by siding with Ernest Miller. KroniK was sidelined when Clark needed stitches for a wound from a chair shot while Adams was hospitalized with appendicitis. While they were injured, WCW was purchased by the World Wrestling Federation in March 2001. Clark and Adams returned to the WWF on the September 4, 2001 episode of SmackDown! by attacking and double chokeslamming The Undertaker. The team would go on to face Brothers of Destruction at Unforgiven 2001 in a match for the WCW Tag Team Championship. After two dark matches, a pay-per-view appearance and a nagging neck injury, Clark was released from his contract while Adams began working for the Heartland Wrestling Association, which served as WWF's developmental territory. After Brian Adams was released from the WWF in November 2001, he and Clark reformed KroniK and began making appearances on the independent circuit, most prominently for World Wrestling All-Stars and All Japan Pro Wrestling. During their time in AJPW, they defeated Keiji Mutoh and Taiyō Kea for the World Tag Team Championship on July 17, 2002. KroniK were later stripped of the title due to contract problems. They wrestled their last match together in January 2003, losing to Goldberg and Keiji Mutoh. Shortly afterwards, both Adams and Clark retired due to injuries.